amid the lush green forests, fields and mountains that are home to the Giant Redwoods. Many of its residents take great pride in their desire to live in an eco-friendly and natural setting surrounded by like-minded individuals, and it was this setting that provided just the right environment for Gillian Levy, President and Susan Cleverdon CEO and co-founders of Humboldt Apothecary (HA), a licensed tincture producer, to embark on her next great adventure. Levy received her degree in botany and biological sciences from Humboldt State University in 2005 and spent the next decade working as a biologist, botanist and watershed management contractor for various government agencies as well as in the private sector. She began thinking about doing something that she really cared about, and after leaving her professional career behind, decided to start a business. Levy had spent several years studying botanical medicine at various schools and with different mentors. She met Cleverdon in Arcata, Susan had left her high school teaching job behind in Michigan and shared similar interests in botanical medicine, having studied at a local herbal school in Arcata. business that would make a difference based on their mutual passion for holistic solutions. They had no desire to be part of the Northern California “Doobie and Dabs” crowd, rather they wanted to create remedies for patients that were looking to replace pharmaceutical products to help relieve pain, anxiety, insomnia and other maladies. As Levy told me during the interview, HA, from day one, was a passion-driven business. There was no shortage of raw materials in Humboldt, and relationships with local legacy farmers that produced unique strains would prove fortuitous. The two focused on formulating tinctures based on supercritical CO2 extracted oils that were third-party lab tested for pesticides and potency mixed with an alcohol base. They focused on a craft-quality, product manufacturing process in their 1,900 sf facility located in the Arcata Marijuana Innovation zone. The space includes a commercial kitchen and lab. In the beginning, their largest expense item, extracted oils, was readily available on credit, imperative for the bootstrapping pair who started HA with an idea and, as Levy told me during the interview, virtually nothing. Their suppliers were all sun-growers as well which was imperative for the conservation minded duo. They strongly preferred working with environmentally sustainable suppliers and have been craft producers from the beginning. HA’s original products were marketed under a nomenclature along the likes of calm and relax versus indica/sativa or the exotic, stoner flower names prevalent at medical dispensaries throughout the state where THC potency has ruled supreme. So, armed with a product, tinctures, that they had formulated together believing that titration would create more consistent dosing for those seeking relief, Levy and Cleverdon began knocking on doors at dispensaries to learn how cannabis operators worked. They struggled to gain a distribution foothold in the first couple of years until they met the folks at Kiva Confections who agreed to take on the product as part of their new distribution arm’s product offering mix in late 2016. The Kiva alliance has been instrumental in the dramatic growth that HA saw in 2017 when sales took off totaling $1.5 million. HA’s products are now the top third-party selling product that Kiva distributes and, according to Levy, its top revenue contributor. The beginning of the California Medical and Adult Use Cannabis Regulation and Safety Act (MAUCRSA), program on January 1st this year created some major hick-ups for the small mom and pop firm where the 5 employees all get their hands dirty to bring products to market. After building their revenue run-rate, with Kiva’s help, to $200,000 a month, the licensing process and corresponding compliance requirements have slowed sales in 2018 to date. California has been patchy at best enforcing new regulations and interpretations made by those receiving temporary licenses have made it difficult to execute. Most of HA’s Standard Operating Procedures, Quality Control and Good Manufacturing Practices areas of the application were written by Levy with some freelance help to land the 2 temporary licenses that the state has issued to them. They expect to have their permanent licenses in the next month or two. requirements which banned ethanol. This resulted in HA and retailers having to destroy any products with an alcohol base after June 30 which resulted in a big hit on revenues at their mom and pop operation, retailers had to be issued credits for any outlawed inventory. HA has moved to a coconut oil based to meet the new specifications imposed by the California Bureau of Cannabis Control. Packaging requirements also added to the costs associated with complying with the new regulations, new packaging must include volume indications and the old Lightening Labels that HA used wouldn’t work, the new tincture bottles are now boxed. Boxes, which must include a government warning, have to be ordered a month in advance. Levy and Cleverdon take great pride and have invested a lot of their time understanding the nuances of the regulatory requirements and used their knowledge to develop compliant packaging. As a result, more times than not, the two have found that they are more knowledgeable and informed then many of the folks that claim to be compliance specialists. Testing requirements have also added to HA’s overhead and affected their production cycles. Log jams at the labs are requiring producers to plan accordingly and have affected prices. HA’s products are carried by licensed retailers throughout Northern and Southern California. As result of the new MAUCRSA requirements, they are no longer distributing any of their herbal formulations according to the following statement on their website. The current Sweet Jane line product mix includes a pure THC mix and a variety of CBD to THC ratio products intended to help patients and consumers with everything from pain, to inflammation, anxiety and insomnia. The Love Potion mix can be ingested or taken topically. Continue to build its distribution at newly and existing licensed retailers in California. Establish a brand presence throughout California and then in other regulated states. Educate consumers about the benefits of using cannabis in tincture form to grow our consumer base. Help to normalize cannabis use and break the associated stigma. …while being careful not to exceed any claims of the products abilities based on their terpene profiles. HA would like to reinvest profits in the form of expanding their limited space as they increase production, automate by adding bottling equipment, all overhead that will likely include finding the right partners to assure that they have adequate capital to meet future needs. In the longer-term, Levy and Cleverdon would like to see HA products expand into other licensed states, an area where their distribution partner Kiva can clearly help. Kiva’s footprint for its own confectionary brand has expanded from California to Arizona, Colorado, Illinois, Nevada and Oregon and has the experience to create profitable intellectual property licensing agreements in those and other legal states. In addition to riding the wave of building the Humboldt Apothecary brand, Levy feels great about her chosen vocation. As a healthy lifestylist, she likes that she can help people with natural health remedies and to empower them to live a better life. She strongly believes that cannabis taken internally can help minimize patients use of pharmaceutical drugs and she loves the creativity that building HA requires. CBE will be keeping an eye on these two novice business professionals that are doing it for the right reasons and ways and seeing the financial progress they make as they expand their footprint in the Golden State and beyond. The two have come a long way in a relatively short period of time and have many more successful roads to travel! Market Strategy/Goal: Humboldt Apothecary produces their brand of craft-quality, consistent tinctures using only CO2 extracted oils from sun-grown cannabis to serve the cannabis consumer throughout California with plans to expand into other regulated states and markets. 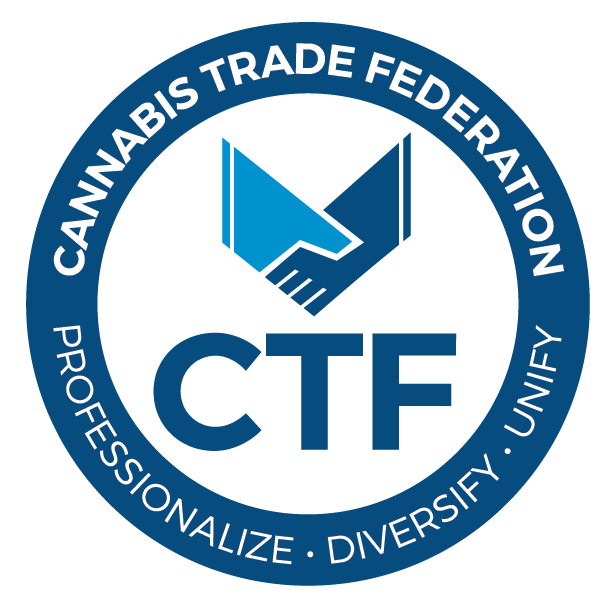 The firm strives to educate the public about the benefits the plant has to offer and to act as an emissary to de-stigmatize the cannabis industry through education and outreach.